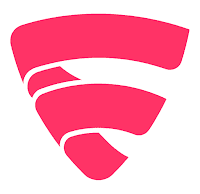 F-Secure SAFE is a complete internet security suite for Windows, Mac, smartphones, and tablets. It combines F-Secure’s award-winning technologies into one unified security experience across all your devices and slowing you down. You can now protect your whole family’s online activity with a single service. F‑Secure SAFE is built to protect you in the online world letting you enjoy digital life without worrying - exploring the internet, shopping online, watching videos, listening to music, communicating with your family and friends. It has a browsing protection that ensures your security and privacy by keeping you away from web pages that spread malicious content or collect personal information. F‑Secure Security software also includes banking protection that lets you know when you enter a safe banking site and secures the connection to the site, keeping your money safe. Furthermore, It allows you to block access to web sites based on the site content: adult, violence, shopping, gambling, social media, etc. F‑Secure SAFE blocks restricted content for your kids and allow you to manage their screen time by setting limits for using their devices. F‑Secure SAFE is an award-winning security software that looks out for you and the people close to you, on every device, all the time. It's also available for small businesses. Protect up to 25 devices (9 users) against online threats to keep your business running safely. Note: to uninstall F-secure products use Special Uninstallation Tool. Disclaimer: Direct downloads for the lastest version of F-Secure SAFE 16.3 are provided by the official software's author, we can't guarantee safety, availability or download speed. Moreover, we don't and we won't provide any pirated/illegal versions or tools. We recommend you to avoid it as these methods can harm your device. If you like the software, buy it to support the developers. (We provide software discounts for many worldwide brands).